Before he directed films like Ek Khiladi Ek Haseena and Acid Factory, Suparn Verma worked at Rediff.com. 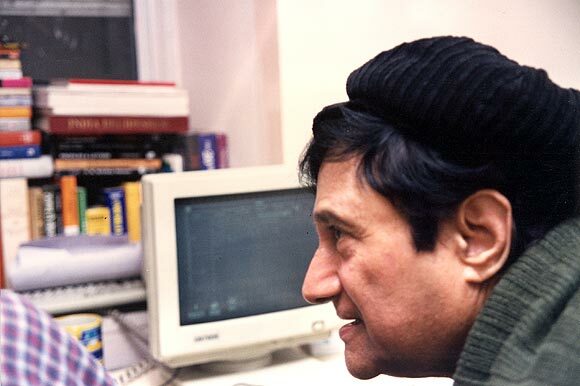 On one occasion in 1998, Suparn invited Dev Anand to appear on the Rediff Chat. It was a huge success. Nah! The man never ever rested! He was someone who fell into a vat of eternal youth and Red Bull when he was a baby. Every Indian has romanced Devsaab at some point of time in their lives -- some have imitated him and some have just been in awe of him. As a kid, I was absolutely in love with his mannerisms and the way he romanced his leading ladies. As I grew up, I would mimic him on stage during school and college fests. 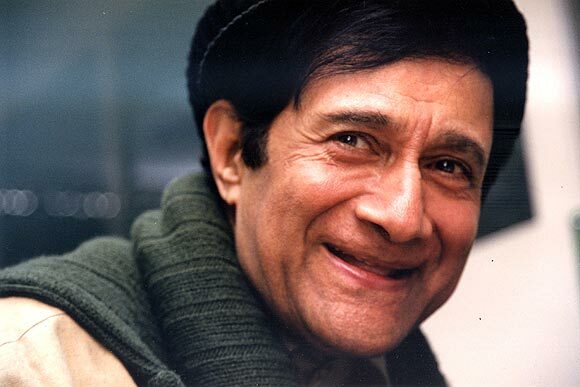 What made Dev Anand different from Raj Kapoor, Dilip Kumar? I absolutely and unabashedly adored this man and his zest for life, the cinema he created and the talent he introduced to the film industry. Swami Dada was the only film of his I saw in a theatre. I was six years old then. Good and bad cinema was never the criteria then. It was more about the excitement of watching a film on this monstrous screen, with popcorn and a chocobar on the side. 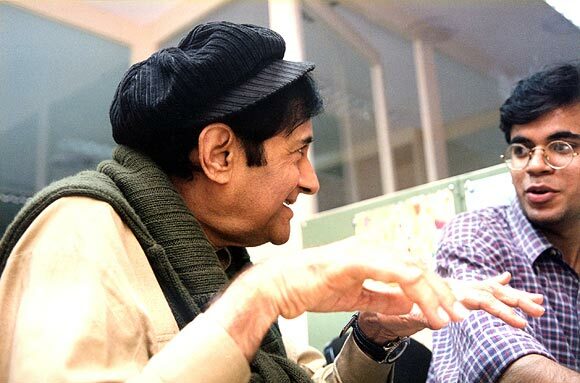 I remember portions of the film distinctly, including the heroine playing the second lead, who was in love with Devsaab. As I began my journey in life, I went back in time watching all his black and white classics. The talent these films boasted of was huge. He was a man who wore his heart on his sleeve, loved and admired beautiful women and made no secret of that. I understand him because he came from the same breed of men I have been very close to, the legendary Feroz Khan. These are self-made men who have lived their lives on their own terms. They have had the best of what life has to offer and making a film wasn't a proposition for them; it was a way of life. 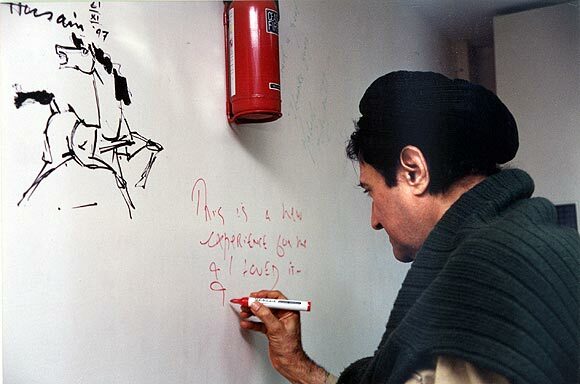 Hundreds of goodbye pieces will be written for Devsaab. Some will even try and be pragmatic and say that he was past his due date and seeked adulation instead of respect. But that was exactly him! He lived in his own world! It was a world he lived and breathed in. We may mock him for a Chargesheet or a Mr Prime Minister, but I salute this octogernarian who not just got his movies funded but made movies till his last breath! Believe me, only a person who has made films would know how exhausting physically, emotionally and not to mention financially, it is to make a film. I salute this man's never-say-die spirit. I met him when I was working at Rediff.com A typical star would take a minimum of four, five weeks to fix a Rediff Chat. I called up his office and he picked up the phone. He had heard of the Internet and called me over. It was 1998. It was magical to meet him. I sipped mint tea and told him excitedly about the Internet. He spoke about how it would change the world and our society, and how he would make a movie on it. He agreed to appear on the Rediff Chat a week from our meeting. I went to pick him up on the scheduled day. It was an olive green Mercedes, if memory serves me right. He was all dressed up. We discussed movies on the drive from Bandra to the then Rediff office in South Mumbai. He kept talking about his ideas for his future films, his toothy grin always on, like he was in on some joke the world wasn't yet privy to. He appeared on the Rediff Chat, witnessing the technology at work with innocence. I told him fans from all over the world are online, would you like to start by saying Hello? I smiled and informed him that the chat was text-based -- there was no audio and video then. He smiled and said soon, there will be! He lowered his voice and the magical evening proceeded as he took questions from his fans. I love him and luckily, will never miss him because he lives through his countless films and hundreds of awesome songs, romancing and being alive. All the lucky ones amongst us who had met him have a story.